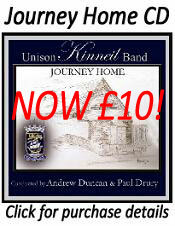 UNISON Kinneil Band were crowned Scottish Second Sections Champions on Saturday 9th March. The band produced an extremely musical performance from a number 10 draw of the set test piece ‘The Plantagenet’s’ by Edward Gregson. 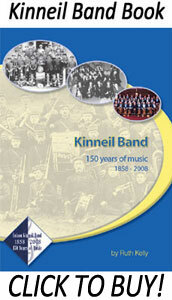 Kinneil eventually finished 3 points above the nearest rival Bathgate Band on a total of 187 points from a possible 200. This is the first time that the band has triumphed at the Scottish Championships for over a decade since the First Section victory back in 1999. Adjudicators Tony Swainson and Alastair Orr described Kinneil’s winning rendition as ‘A Magical Performance’ and this win continues the 100% success rate Musical Director Craig Anderson shares with the band since joining last August. The next outing for the band will be at our much anticipated Annual Concert which is being held in Bo’ness Town Hall on Friday 26th April. The evening has been billed as ‘The Journey of a Century’ taking the audience through a musical expedition from past to present. This entry was posted on Monday, March 11th, 2013 and is filed under General News, Results. You can follow any responses to this entry through RSS 2.0. Both comments and pings are currently closed.